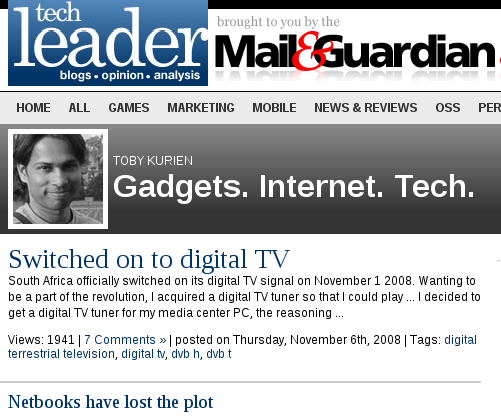 I used to write a blog for Tech Leader: http://www.techleader.co.za/tobykurien. I'm not a prolific blogger though, so my posts were few and far between. However, it should be interesting to see what I had to say about Netbooks way back in 2008, among other topics. © Copyright 2008-2019 Toby Kurien.